Photo by Jeffrey Schwartz. Nothin' to see here. Did you hear the crickets on Sunday? Downtown Arcata was slightly more populated with skunky tourists, and one lonely celebrator traversed H Street, tinny whoops and slides of electronic music belching from his waist-clipped radio. But overall, it was a doobie-day downer. 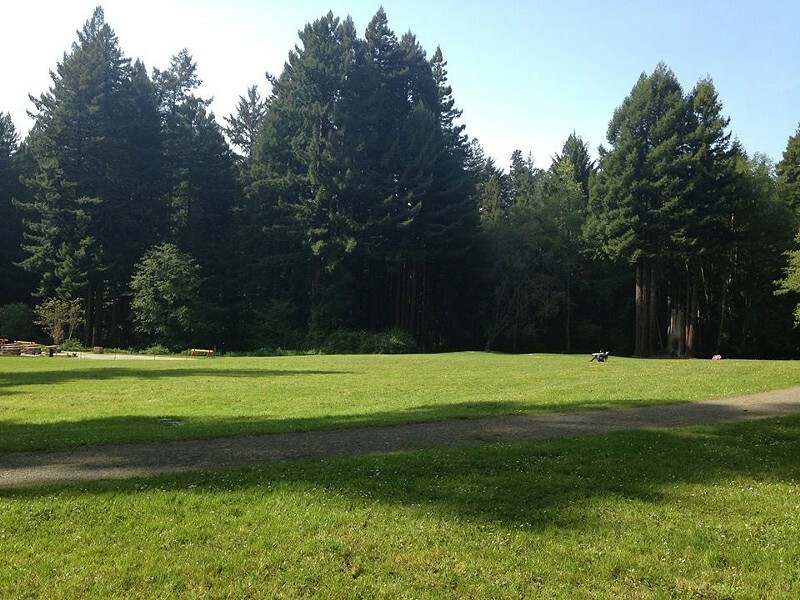 Redwood Park was all but empty, reported HumRights executive director (and NCJ Media Maven husband) Jeffrey Schwartz. Another Journal correspondent noted several uniformed cops deterring revelers from entering the community forest from the comfort of lawn chairs. •Meanwhile, merrymakers lit up San Francisco's Golden Gate Park. Did Humboldt lose 4/20 like we lost the Emerald Cup (and the 350 bags worth of trash left by partiers at Sharon Meadow)? As Marcy Burstiner pointed out in this paper last month, freedom to peacefully assemble is a constitutional right — you can't keep people away from a public space for fear that a crime may be committed. So all we need is someone to organize and account for the public safety concerns and trash left behind and party on. Anyone? •Additional regulations are coming to California's dispensaries and pot doctors, if legislation recently recommended by a state senate panel is adopted. SB 1262 would require dispensaries and medical grows to be licensed by the state Department of Public Health and set a standard for 215 recommendations that would include follow up visits with patients. The bill is being supported by the League of California Cities and several law enforcement groups, including the California Police Chiefs Association, whose president Christopher W. Boyd told the Los Angeles Times, "It is not medicine for doctors to show up at concerts to give recommendation cards to anyone willing to spend the cash." The California Medical Association opposes the bill's current language, including a requirement "that doctors recommend the type and strength of marijuana used, which could subject physicians to federal enforcement action," according to the LA Times report. For every atom belonging to me as good belongs to weed. I chill and loafe at my ease observing a lid of summer grass.